In 2012, two software engineers set out to create a fair, transparent mattress company. They created Tuft & Needle, and now five years later the company is one of the most successful and recognizable internet-based mattress companies in the United States. Based in Phoenix, the company has retail locations in Downtown Phoenix, Scottsdale, San Francisco, and has two additional locations coming soon. In this interview, we sat down with Tim Hargis, Business Development for Tuft & Needle to get a better idea of what the company is all about, what makes them unique, and what their plans are for the future. What was the driving factor in starting Tuft & Needle? The driving factor to build a mattress company came from JT & Daehee’s commiseration over the poor experiences had while mattress shopping. The two created a list of everything they disliked about the mattress industry and decided that if they could incite change in even a few aspects of the buying experience, they could solve a real problem. What was your ultimate goal in founding Tuft & Needle? Our ultimate goal was to disrupt an archaic industry that hadn’t seen innovation or change in many years, and to create a better buying experience with a high quality product sold at a fair price. Where do you see the brand 5 or 10 years from now? In the coming years, our goal is to continue to execute on our mission of bringing our product to the mass market and establishing our brand as a category leader on par with Tempur and Serta. We see the aggressive expansion of retail stores playing a pivotal role in this strategy moving forward as we continue to take market share from the incumbents. What is it about the Phoenix market that you find so appealing? Phoenix’s cost of living and operating a business, accessibility, and overall culture helps to establish it as an ideal place for Tuft & Needle to call home. By planting our roots in Phoenix, we were able to avoid many of the downfalls that startups encounter, and build the company we wanted—a lean company that puts people first. What made you decide to expand to San Francisco? Although JT and Daehee chose to call Phoenix home instead of Silicon Valley, we decided to build our flagship store in San Francisco as a way to pay homage to the place we had strong ties to, as the city where the idea of the company began. Being a strong ecommerce retailer, what makes you want to dive into physical locations? Having physical locations came from customers asking to experience the product in person. We see our retail stores as the physical embodiment of our brand. Just like our dedication to consistent product improvements, customer feedback plays a huge role in how we succeed as a company. What kind of value are you finding in brick and mortar locations? Brick and mortar locations allow us to create a more personal connection with our customers, while allowing them to interact with our products without the traditional pressures of a mattress buying experience. We’ve seen very strong revenue growth in our retail stores and will be looking to double-down on our expansion plans in the coming years. As a feedback-driven company, having retail stores also allows us another opportunity to hear thoughts and questions directly from our customers that help us improve our products and experiences. Do you see Tuft & Needle opening more physical stores either within the Valley or in different cities across the country? Yes. This fall, Tuft & Needle will open in Gilbert’s Heritage Marketplace as well as Seattle’s Pike Place retail district. 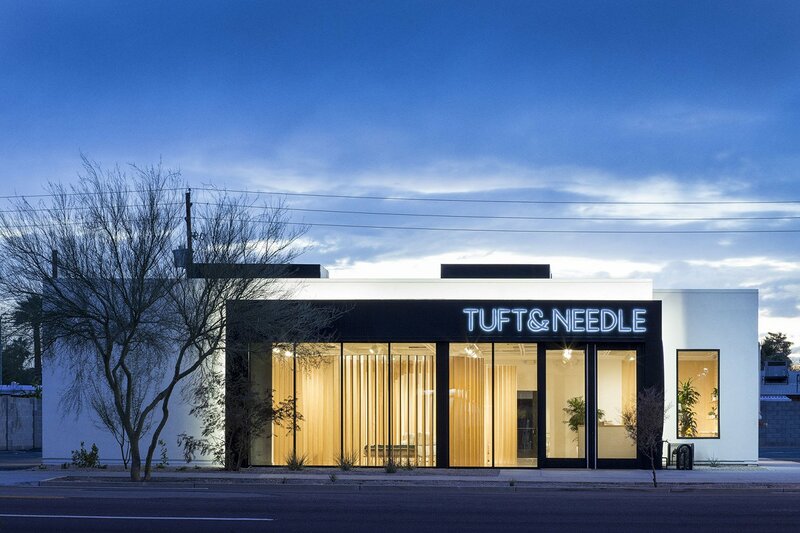 These locations reinforce Tuft & Needle’s strong existing presence in San Francisco, Phoenix, and Scottsdale, and there will be more to come. As a significant player in e-commerce, where do you see the future of retail and the omni-channel approach? From Nick Arambula, Head of Retail, as told to Phoenix Business Journal: When considering the future of retail, we follow one guiding principle, customer experience first. We put a strong focus on our stores being thoughtfully designed, beautifully accessorized and full of friendly, informed team members. Historically, the physical storefront was used as a tool to push product to customers. That helped to solve a business problem, but did little to design an environment that customers could enjoy. Using customer feedback to help shape the in-store experience – much like we do with product development – is an invaluable practice that could be more widely adopted in the future, across multiple industries. What are the unique characteristics you’re looking for in a physical property or trade area? As we look to aggressively expand our retail footprint, we’re mostly interested in spaces that are in densely populated areas and prefer visually open spaces that are more architecturally interesting. This is what attracted us to the O.S. Stapley building, where our headquarters are located in, in Downtown Phoenix. 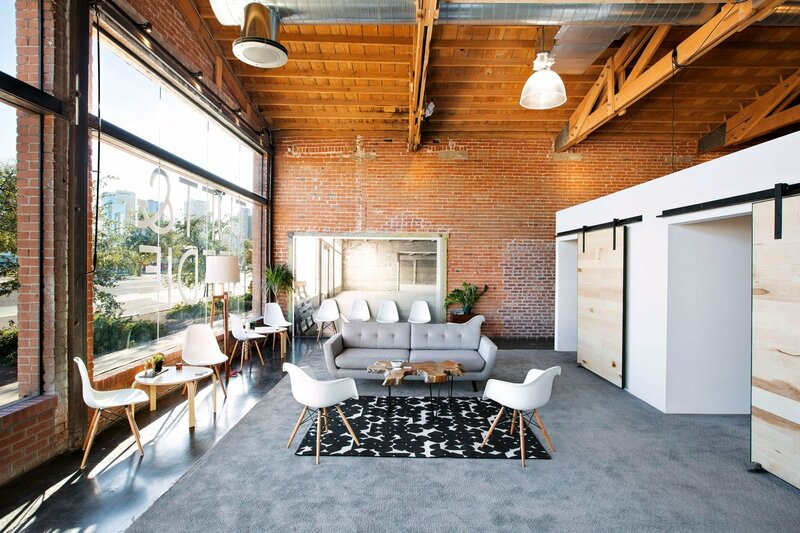 It’s a 100 year-old red brick warehouse that we’ve converted into a beautiful office space that has the “soul” that very few buildings have. We believe you do your best work when you’re in a space that inspires you. What are some of the positive takeaways you’ve had from working with SimonCRE? SimonCRE has been a great partner for us, having worked together on few projects. Josh and his team are incredibly responsive and have spent considerable time understanding our brand and business model so that they can add the most value in helping with our retail expansion. We’d highly recommend SimonCRE for other companies looking to expand their physical presence. Who would you consider as your main competitors in the mattress business? Instead of dwelling on what our competitors are doing, we focus on what our customers are saying in order to improve. When we were founded in 2012, we set out to disrupt the mattress industry as a whole and are well on our way to doing that as the bed-in-a-box category continues to take marketshare. Since then, there have been over 100 copycat companies that have entered the space and have helped disrupt the Goliath industry. How are you working to combat, or gain an advantage on some of those others brands in the mattress business? We’re constantly focused on putting the customer first in all of our decisions, and this starts with our product. We’ve made over 100 improvements to the mattress since we started, and we’re proud to be a top-rated mattress on Amazon with over 10,000 reviews – 90% of those being 5 stars. We strongly believe that retail is the best path forward to allow customers to experience our brand and we look forward to delivering on this in the coming years. What’s some of the most memorable feedback you’ve received in regards to the Tuft & Needle brand? When we first rolled out the “Mattress Stores Are Greedy” billboard campaign, we knew it was a bold and potentially jarring statement to make. The message and intent resonates with our customers—the consistently positive feedback we’ve received continues to motivate us to put customers first and forage the path of honesty and transparency in the archaic mattress industry.